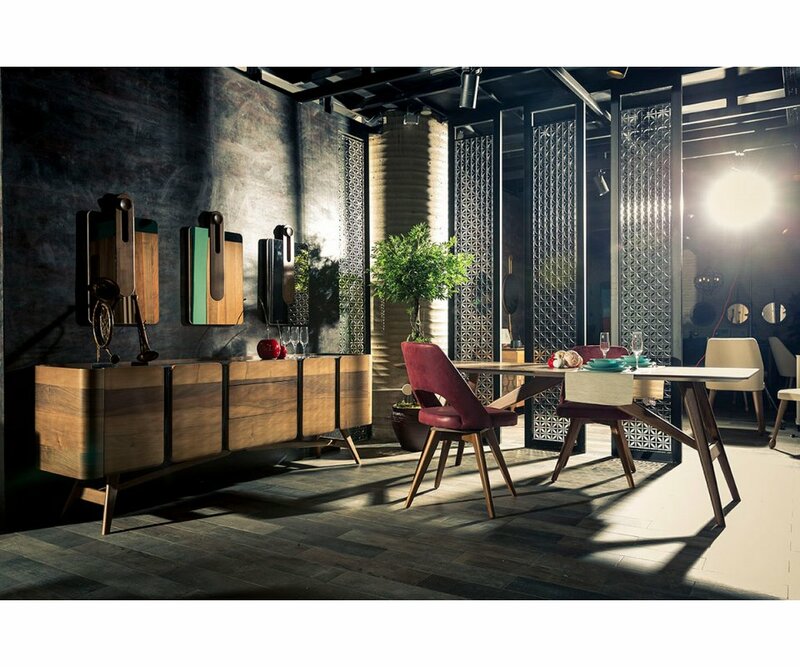 CONTEMPORARY STYLE: Eclectic walnut veneered table has sleek, streamlined appearance that blends with most home décor styles. TOP GRADE CONSTRUCTION: Premium MDF boards, with heavy-duty hardware provides a table that is durable and sturdy to use, and will be beautiful for years with normal wear! STURDY WOODEN LEGS: Flared solid wood legs have cross-braces from leg to leg and from the legs at each end to the table, creating a table that won’t wobble or shift. LONG TOP SURFACE: Over 7 feet long, this table will seat up to 6 people comfortably for an elegant dining experience. 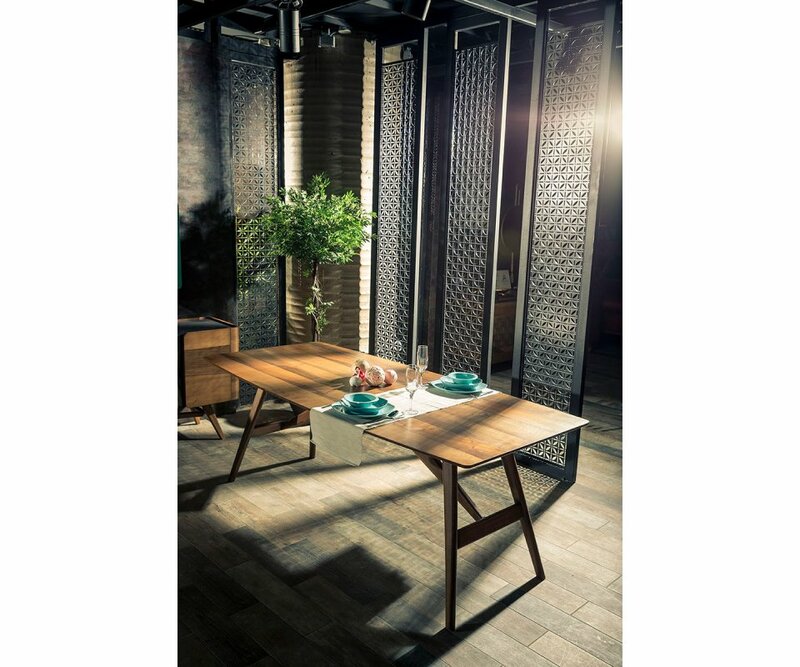 DURABLE FINISH: Top quality lacquer varnish will protect the surface of the Babylon dining table from water rings and damage from stains, as well as from UV ray damage. This sleek and streamlined walnut-finish table adds an elegant element to any dining area! 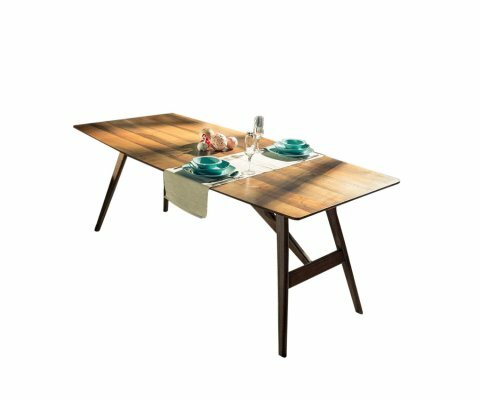 The top surface is a softly-rounded rectangular table that’s over 7 feet long, perfect for family dinners and entertaining friends. 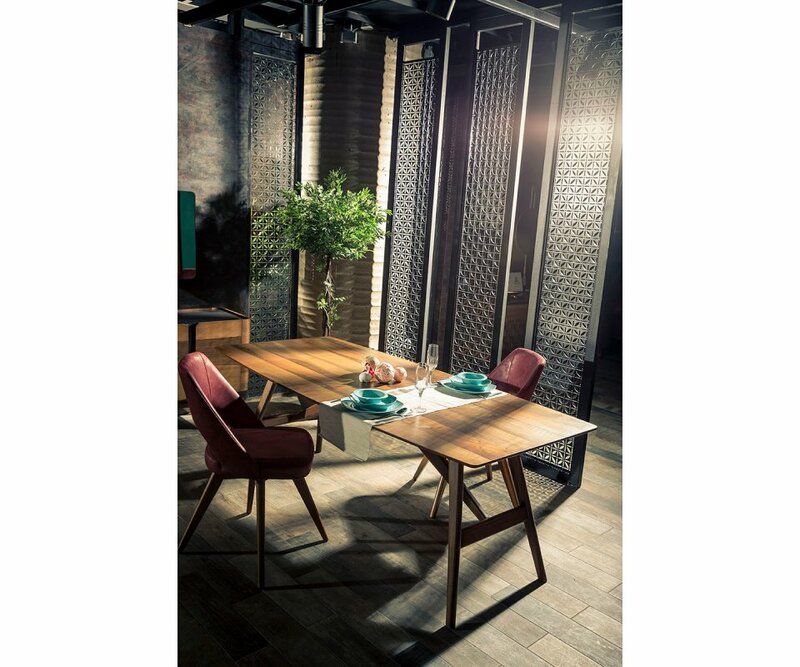 The contrasting wooden legs taper to the bottom, and are slightly flared, providing extra sturdiness when friends and family sit down to dinner! 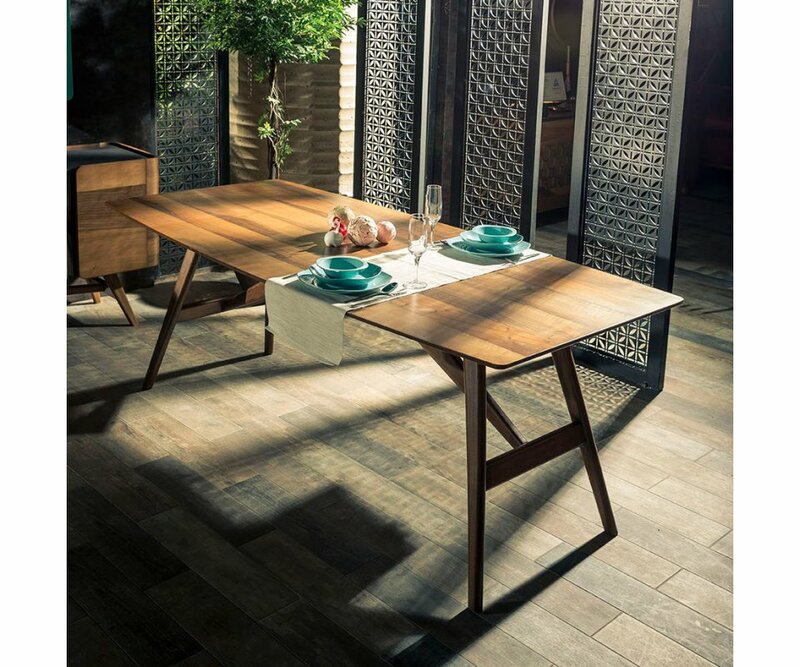 The Babylon table is made from premium MDF boards, with walnut veneer lacquered finish that protects your table from water rings and stains, as well as resists UV ray damage, scratches and dents. 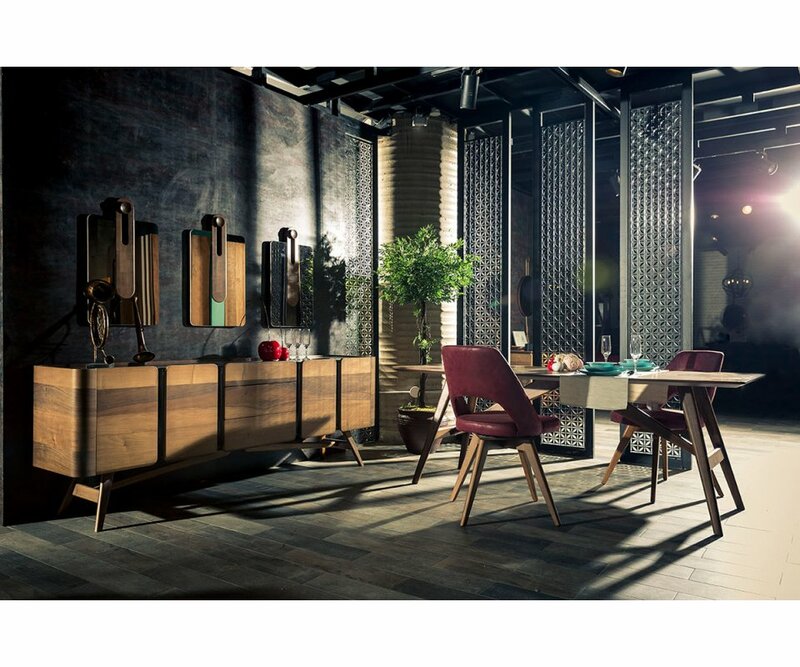 The unique design, combined with traditional walnut finish makes an appealing, eclectic dining area that blends well with most home décor styles!